Corn starch is one of those ingredients in recipes that usually deters me from making it. Maybe it’s the notion of what it does to water or the fact that I had never really thought about what it actually was. Either way, it’s always kind of weirded me out. I got an email from a reader a couple of weeks ago about cornstarch. Apparently I’m not the only one weirded out by cornstarch. This question got me interested in figuring out what exactly corn starch is and how it might contribute nutritionally to foods we buy or recipes we make. It seems simple enough. Cornstarch is starch that’s derived from corn. It’s made from the tiny white endosperm at the heart of a corn kernel. To get to the endosperm, the kernels are processed so all of the outside shells removed. The endosperms are ground up into the fine white, gritty powder we know as cornstarch. The key word here is processed. Thickener: Cornstarch is used frequently as a thickener when cooking in things likes sauces, gravies and even yogurt. It thickens almost twice as much as flour and thickens clear in liquids rather than opaque. Baked goods: Cornstarch is also gluten free and is frequently used in baked goods to give structure to give them more fullness and moisture. Fried foods: It’s occasionally added to batters to give fried foods a light and crispy texture. What nutrition does it provide? Cornstarch is essentially a highly processed carbohydrate. It packs about 30 calories or 7 grams of carbohydrate per tablespoon. There’s no protein, fat, vitamins, minerals or fiber. 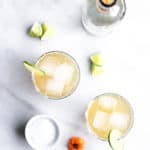 When added to recipes, it can add significant calories that you may normally not consider because it’s similar in color and texture to baking soda or baking powder which are essentially calorie-free. Tough question. Do you consider white rice or Wonder Bread unhealthy? Those are also processed starches. Some might not consider them unhealthy but when it comes down to it, cornstarch doesn’t add any sort of nutritional value to foods other than calories – which most of us get more than enough of anyway. I consider healthy foods to be those that give me good stuff like fiber, protein, vitamins and minerals. Simple sugars are important for energy (calories) but there are plenty of truly healthy energy-containing foods that also have lots of good nutrients and fiber. What are some healthier alternatives to using cornstarch? If you’re worried about GMOs or pesticides, there are a few brands of organic cornstarch out there. If you’re looking for actual substitutes, there are quite a few! Heat reduction: Good ol’ evaporation will thicken anything you are trying to cook. Simmer sauces uncovered, over low/medium-low heat for a period of time and your sauce will be thicker. Pureed vegetables: Things like tomato paste, cooked zucchini, eggplant, cauliflower, squash and pumpkin get very soft when cooked and are easy to puree with a blender, food processor or potato-masher. These types of vegetables are lower in carbohydrates than starches like potatoes and corn and will actually increase the nutritional goodness of your recipes, since they also contain healthy vitamins, minerals and antioxidants. Pureed veggies are great for thickening sauces, homemade soups, casseroles. Vegetable gums: They sound gross but this is essentially soluble fiber that absorbs water and thickens into. Pectin has almost 1/3 of the calories and 2 grams of fiber per tablespoon. Two of the most common are guar gum and xanthan gum. Flour: It’s still a processed grain but adding whole wheat flour instead of white will at least bring some B vitamins and fiber to the dish. Sour cream or Greek yogurt: Reduced-fat sour cream or plain Greek yogurt are already thick. Greek yogurt can get a bit clumpy if heated in a soup, so you might do better with sour cream with hot recipes like soups. Flax seed meal: I love me some ground flax seed but it is a bit gritty, so it works better as an egg substitute or when added to smoothies, oatmeal, and baked goods. Nut butters: A good source of healthy fats, fiber, protein – just choose unsalted so you’re not adding additional sodium to the dish. In general, I think avoiding cornstarch in large quantities or in processed foods might be a good idea because it is calorically dense, however I might not be so quick to rule out trying a new recipe if it only calls for a tablespoon or two, now that I know what it is. I hope this demystifies the creepiness of cornstarch – I know I sure learned a lot. :) Thanks again for all the great questions guys! I love learning new things and sharing them with you. What are your thoughts on cornstarch or other thickeners? Do they weird you out too? How do you like to thicken recipes when you cook? Um – baking powder is corn starch + baking soda. It is completely obvious the author is clueless. DO NOT take this article as valid advice. The only value this article has is entertainment. I have nothing against the author, but it is annoying to have her give advice based on nonsense like it’s “creepy”, and lumping together white bread (extremely unhealthy) with white rice (perfectly healthy) as if they were the same thing when in reality one is super unhealthy (white bread) and the other is healthy (white rice). Completely useless and misinformed article. White rice is not that healthy brown rice is a better alternative alternative. Brown rice consistently has higher arsenic levels. It is completely obvious the author is clueless. DO NOT take this article as valid advice. The only value this article has is entertainment. I have nothing against the author, but it is annoying to have her give advice based on nonsense like it’s “creepy”, and lumping together white bread (extremely unhealthy) with white rice (perfectly healthy) as if they were the same thing when in reality one is super unhealthy (white bread) and the other is healthy (wow rice). Completely useless and misinformed article. Some people need to learn to RELAX. Yes, I mean you. Just cuz you don’t have the nuts to do your own blog doesn’t give you the right to go around blasting other people who do. Get a life. ,It became so thick that stirring it became a problem ..
LOL well I would suggest you give it another try, but you shouldn’t only Bev using a tablespoon or two in a large pot of anything! Good luck! Wow thanks for the article. Personally I found Corn starch a bit weird. Came here after finding that American Chinese Stir Fry dishes use a lot of Cornstarch. Apparently this was not true in authentic Chinese food which used Potato as a thickener and not corn starch. Even then I do not like thickeners. I am convinced that Axel is right, it ‘tricks’ the liver to no longer signal the brain that the body is sated and turns excess food into vascular fat. 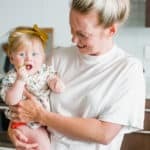 Thank you i enjoyed reading this article and i also used to think corn starch was creepy! haha Glad to have found out a few facts about it! Not worried about the calories as i would never use more than a T in a recipe! I live in a senior community that has a independent body, a assisted living, and a memory care facility. We all eat from the same kitchen a restaurant type inclusive culinary service in our rent. (It’s not cheap) After several months of eating all of my meals from the culinary services I found I was either so totally grossed out by the taste or feeling sick to my stomach every time I ate I realized that almost every dish was made with a huge amount of corn starch. It’s disgusting that they want to save money so much that they would put our health at risk. I am concerned not only myself but those in assisted living and even more so those in memory care that can’t fend for themselves. If you want to know what is in your food you have to cook it yourself. I started and over a 10 years loss 75 pounds. Put what id good for you in a pot and turn on the stove. You guys are funny. 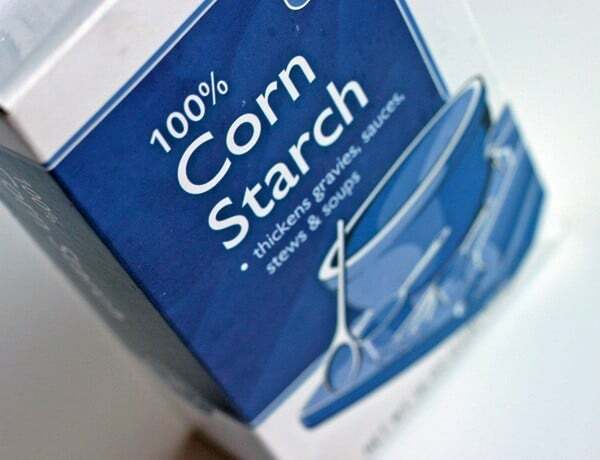 “Corn starch is creepy”… very scientific way to describe an ingredient and great reason to avoid using it. Like a chicken wing is not creepy somehow. Instead of reading threads from people who have no clue what they are talking about try to read those rather boring scientific publications. You can’t get informed by any of these blogs unless you are trying to find pricing or something top level. You want to be healthy? Eat a bit less and be more active, that’s it. Most of your decisions are based on fashion and trends, not real science so stop worrying so much. “You get can’t Informed by any of these bloggers” Yet…..you had a good amount of time on your heads to read from a blogger. I’ll just leave this here for you to dwell on. Ps. You sound mad at life. He had a good amount of time because he’s not worried about ground up baby corn plant food. You tend to have more free time when you don’t spend it paranoid about nonsense. I had the impression corn starch was a healthy alternative to flour; most likely convinced by someone with a gluten bias. So I was surprised to find it had more carbs for less flavor and lower nutritional density than enriched flour. And as the above article points out, there are many better alternatives for any purpose it has. What irks me more is that this isn’t just a byproduct of a more valuable and necessary product, everything of value maize contains was completely discarded to synthesize an ingredient that hardly qualifies as food. Cornstarch goes into chocolate milk and it makes it even less healthy I want to know if chocolate milk is bad for you. You should just get rid of all the corn starch in your house and see how that goes. Cornstarch is NOT gluten free with its derived from wheat according to Wikipedia. Please look at true ingredients to be gluten free must not have wheat. Cornstarch is not ‘gritty’ it is used for many purposes, for instance, it’s safer than talc and used as replacement for it. In foods it thickens anything liquid it comes in contact with clear or not, it simply has to reach the boiling point to thicken. Mix it with a little bit of cold liquid first, stir well and then add it to the recipe. Chinese Hot and Sour Soup uses cornstarch to thicken it. It’s been a cooks standby for a very long time and a baby powder for a very long time too. 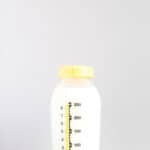 Kuzu would have to be the most healthiest of thickeners as well as a stomach settler for babies through to adults. Mix with organic apple juice to form a sauce and feed to your baby – ever so healthy!! Having done some food research to accommodate my glutamate sensitivity and now a diabetic condition, I’m thinking that maybe what may be a problem is “modified corn starch”. This stuff makes me rather ill and you’d be surprised where you’d find this stuff hiding. Most commercially prepared baked goods, even salad dressings. Regular “corn starch” just doesn’t give me problems. I don’t use much of it. Maybe 1 Tbsp. per week at most, if that. What the “modification” that is done to the corn starch is, I don’t know, but if anything has that on it’s ingredient list, it goes back on the shelf with a smack. Same with “Citric acid” now made from corn, and “modified milk ingredients”. Still don’t know what that stuff actually is. Arrowroot flour is an alternative to cornstarch. I use it as a deodorant powder instead of cornstarch now. Bobs Red Mill brand has it. Check Whole Foods or Amazon. Not every store carries it. Tapioca flour is great to use as an alternative. GMO is what it stands for and yes it’s like poison. I am currently involved in a clinical trial and have figured out that I am on the placebo, which is pure cornstarch. I’ve been taking the equivalent of t teaspoon of cornstarch a day for about 10 months. I’ve started having some wierd symptoms like tingling hands and feet. do you think this much cornstarch is affecting me? I can’t think of how it would cause any of those symptoms. Unless you have an allergy to corn. Which I don’t think is very common. When did the weird symptoms start? I am very sensitive to corn and corn derivatives. My sensitivity was confirmed when my doctor gave me an extensive allergy test. I even feel bad when I eat grits, corn tortillas. My physician said corn allergies are common as corn is a grain and promotes inflammation in the body. Find out if you have any food allergies if possible. I have an intolerance to corn starch. It causes headaches. I am now suspecting that potato starch does the same thing. Try hi-maize fiber. Not all corn starch are equal. You only looked at a few. Corn starch is creepy when it’s the first ingredient in baby food. Or used to thicken yogurt ,It is not creepy when it’s a tiny bit to thicken a stir fry or sauce. I’ve been trying to avoid cornstarch for many of the same reasons. I would love to know if anyone has tried alternatives for cornstarch on recipes like baked sweet potato fries. I’ve had it with cornstarch which gives the outside a nice crispy texture and without it, it’s just not the same. But I eat these fries way to frequently so I need an alternative. Any ideas? I’ve never ever heard of using cornstarch for any type of fry. Just bake the fries longer. Maybe use less grease or oil on the pan. or an ungreased pan. For white potatoes often recipes recommend soaking fries in ice water to draw out the starch (since potatoes are starchy enough usually)and drying them before frying. to make them more crispy. but for sweet potato?? I have a feeling people are trying to mix up “high fructose corn syrup” with “corn starch” (since both have the word “corn”). To me, what defines healthy/unhealthy is not only how many vitamins/minerals but the way the product has been processed. If chemicals and pesticides are used i would consider the food to be unhealthy. wow. Thanks so much Ellen for posting this educational post on corn starch. The substitutes are awesome. I was familiar with few but not all. So the list will certainly be considered when cooking & baking. In 1967 corn starch was conquering the market and replaced natural sugar. Cornstarch has a tiny little “side effect”: It ‘tricks’ the liver to no longer signal the brain that the body is sated and turns excess food in vascular fat. That fat sits inside the body – not on top of the belly. Corn starch was so cheap to produce that it replaced sugar and obesity started to explode. While some countries ban corn starch – the corn starch industry is so strong in the US that no ban could be agreed on. Follow-on effects are heart disease and cancer. The interesting correlation is that the increase in those diseases are some of the most expensive mass diseases to cure (increase in health Care Cost) and that the US is the number one user of corn starch in the world and the number one country with heart attack fatalities and the number one with obesity. Corn consumption in the US is approximately 10 times of Europe. In some countries like Germany it is completely banned and in France just not used. The good news: The market in the San Francisco Ferry building banned corn fed beef. Trader Joe’s started to remove all corn starch products from their shelves – not completely yet, but it goes in the right direction. @AXEL. I am pretty sure you are thinking about corn SYRUP not corn STARCH. They are completely different and you are just spreading bad information. This is the only comment here that makes any sense, and carries any truth. Someone actually recommended using lots of msg. Mind boggling. Thanks for the common sense. But they still sell GMO products. I stopped using cornstarch over 30 years ago when I came across arrowroot. I buy it at Whole Foods and use very little of it when cooking. When making soups, I usually add about 1/4 cup of rolled oats as a thickener. Our problem is that we sometimes have no idea where our food come from, how it was produced, what was used during the growing process…. Once I tried GMO corn and the taste was terrible! I know the taste of real corn and how real food should taste. I think it is a crime to “poison” people with GMO! There should be a law against people producing food that is dangerous to people! Correct! Some food manufacturers have been adding thickeners and calling it Greek-style yogurt since it’s not true Greek yogurt. They’re usually less expensive than brands like Chobani that don’t. On that note, almost all fruit-flavored yogurts have corn starch or pectin added to the fruit goop. Personally I prefer fresh or frozen fruit in my yogurt! I’m disappointed to see the “exact” words you’ve submitted to not only be here but, other sites as well. Who’s the author of this article? I just looked up a recipe for orange, craisin muffins. No thank you! It called for 1 cup of flour and 1 cup of cornstarch!!! Yikes. I am sure a lot of our unhealthy indulgences contain a large amount of corn starch. Thanks for the info. Now I know better. I have used arrowroot as a substitute…Kris Carr suggests it in her cook book. What about substituting corn starch with tapioca starch? I love all the alternatives that you shared. As a diabetic, I find cornstarch works better for me. Although its pure starch, it takes half as much as flour does to acomplish the same thickening. So if i want to thicken 2 cups of liquid, it takes 1 tablespoon (7 carbs) vs 2 tablespoons of flour (12 carbs). Also, its gluten free. I especially like it for gravies or sauces when I want the color to remain since it cooks up clear and won’t “cloud” the color. But more important, is that corn starch does digest more slowly (important for type 2 diabetics). As an alternative I sometimes use vegetable gum (guar gum) although the carbs are 9g per Tbs. my doctor is recommending that I going alone sugar low carbohydrate diet.. Is cornstarch unhealthy for me if I’m trying to lower my sugar and carbohydrates? If you are eating twinkies, corn starch is the least of your worries !!!! Corn starch when ingested is very slowly digested. This is good for me being type I diabetic. I sprinkle a tsp on my cereal, or sprinkle some on oatmeal, stir some into beanut butter. it keeps your sugars steady. Only thing, it has to be eaten raw and not cooked at all. Also, to think that cornstarch is likely made from genetically modified corn is another reason to stay away from it. GMO=tumors. Depends on the cornstarch. The cornstarch in something like Twinkies? Yeah, it wouldn’t surprise me. But you can get organic or other high quality cornstarch from your local coop or Whole Foods. I use just a dash with water and soy sauce to make my stir fry. It’s not something I’d say is good for you, but a teaspoon here and there isn’t going to change anything. thank you for this article….. i am trying to get the 411 on all the ingrediants that have no obvious content…. and i am weirded out about cornstarch, especially since i swear i can tell if something has it even if it’s not known… yuk! thanx!! So I have a berry pie recipe I want to make that calls for cornstarch as the thickener. Which type of thickener do you think would be the best substitute? The recipe says arrowroot powder for an alternative, have you heard of this? and if so any better health benefits than cornstarch? I have heard of it, but don’t know much about it other than its made from a tropical root! Bob’s Red Mill makes some – which makes me feel better about it than regular old corn starch for some reason. Let me know if you try it! I don’t eat a lot of processed foods, and only use corn starch when making homemade stir fry sauces. Your post made me feel better about using it this way. I recently purchased some chia seeds and have been exploring their uses which includes use as a thickener. I haven’t tried it yet but I’m curious. Have you tried chia seeds as a thickening agent? interesting post…. I found a recipe that says corn starch makes for crispy sweet potato fries… I tried it and it kind of worked, but then I haven’t wanted to do it again because corn starch is creepy…. It’s always seemed creepy to me too! I omitted it once. Huge mistake, but think some of these other substitutes might work okay instead! Thanks for sharing! Why is corn starch an ingredient in my thyroid medicine?